Flitz 5" Polishing Buffing Ball & 1.76oz Paste Polish PB101-50, Best Car & Motorcycle Cleaning Kit | California Car Cover Co. The Flitz 5" Polishing Buffing Ball & 1.76oz Paste Polish Kit PB101-50 will help you safely and easily buff hard-to-reach areas in seconds. Perfect for polishing cars and motrocycles including plastic tail lights; for removing bluing, road film & burn marks from pipes; removes oxidation and light scratches from plastic windscreens; easily fits in and around engine; perfect for mag or spoked wheels. 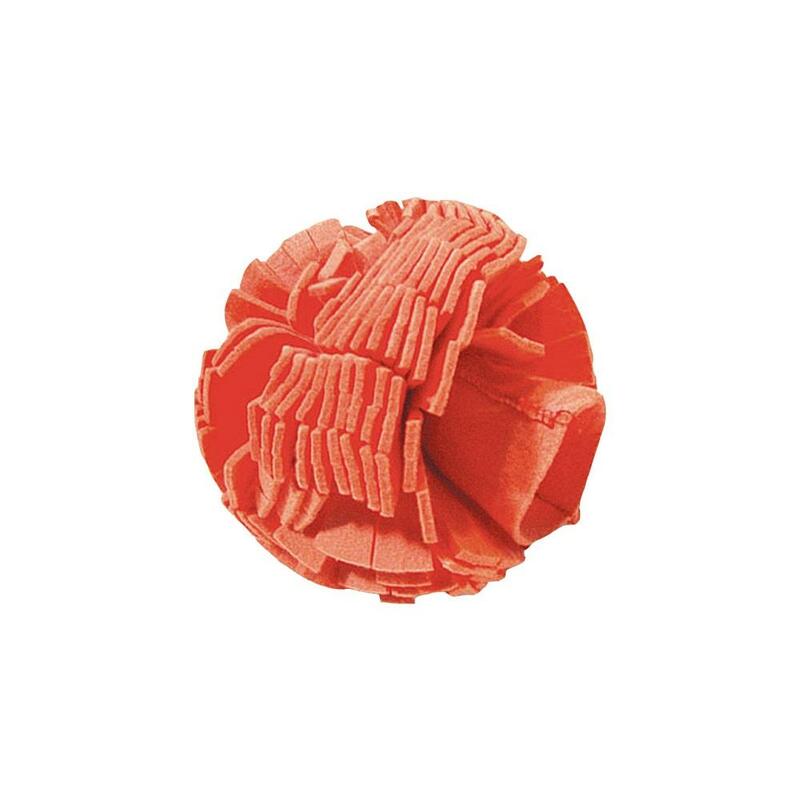 The 5" Flitz Buff Ball won’t tear like foam. Fits any 3/8-inch drill or air tool. Buffs evenly–no low spots. Buffs at speeds up to 2,500 rpm. Self-cooling. Won’t scorch or burn clearcoat. Washable and reusable. (1) Properly secure Flitz Buff Ball into drill or air tool (Use only forward or right rotation). (2) Apply a thin coat of Flitz Polish surface. (3) Buff lightly. Increase speed and buff at high speed (up to 2500rpm) for highest luster. 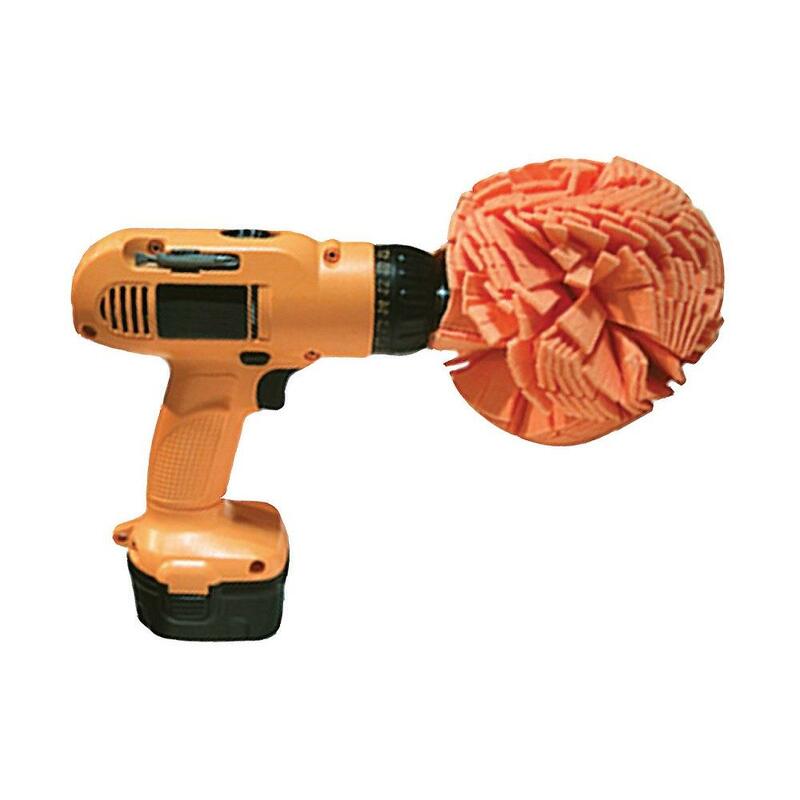 Note: Although any 3/8-inch drill will work, a corded drill will produce higher rpms. 1. Properly secure Flitz BüffBall into drill or air tool. (Use only forward or right rotation). 2. Apply a thin coat of Flitz Polish to surface. 3. Buff lightly. Increase speed and buff (up to 2500rpm) for highest luster. Each Flitz BüffBall is washable* & reusable. For best results, soak ball around an hour in a bucket of soapy water. Remove from bucket, rinse well and let air dry. 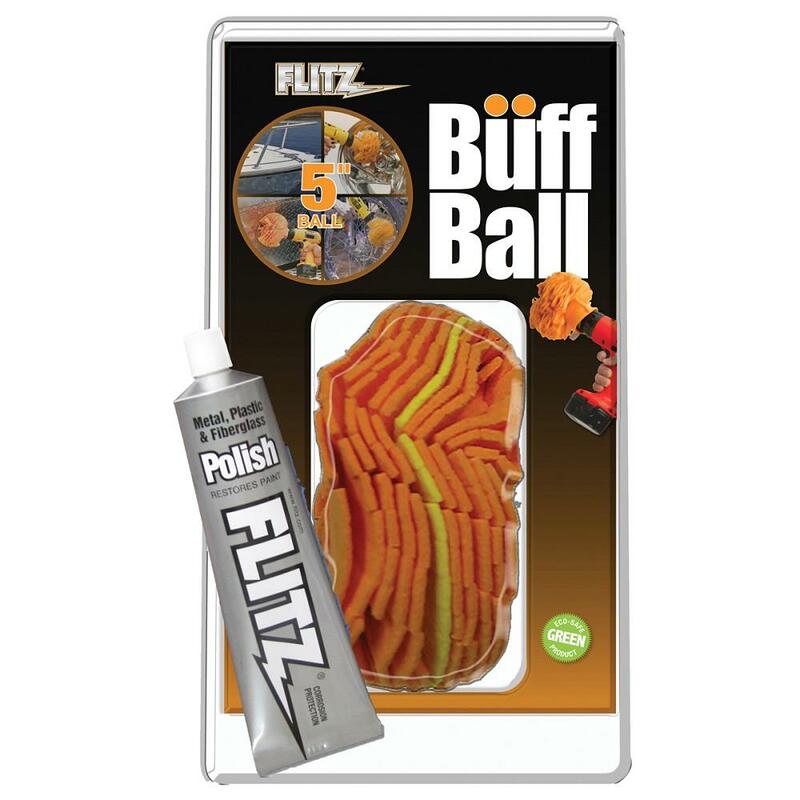 *Flitz Buff Balls are Guaranteed washable when used exclusively with Flitz premium polishing products. Washing & Care of your BüffBall: Each Flitz BüffBall is washable* & reusable. For best results, soak ball around an hour in a bucket of soapy water. Remove from bucket, rinse well and let air dry. 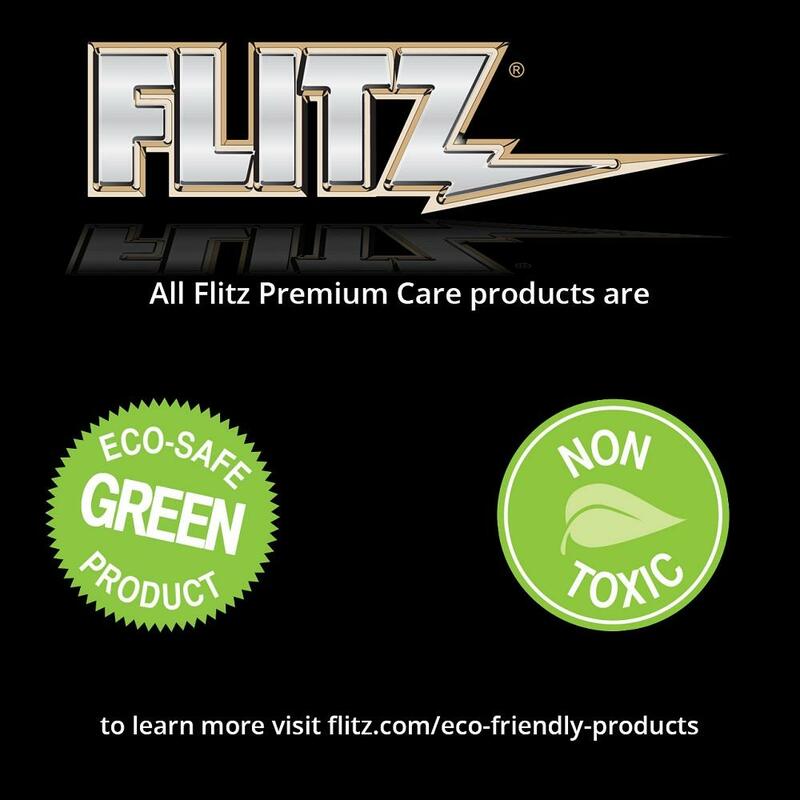 * Washable Guaranteed ONLY when used exclusively with Flitz products.